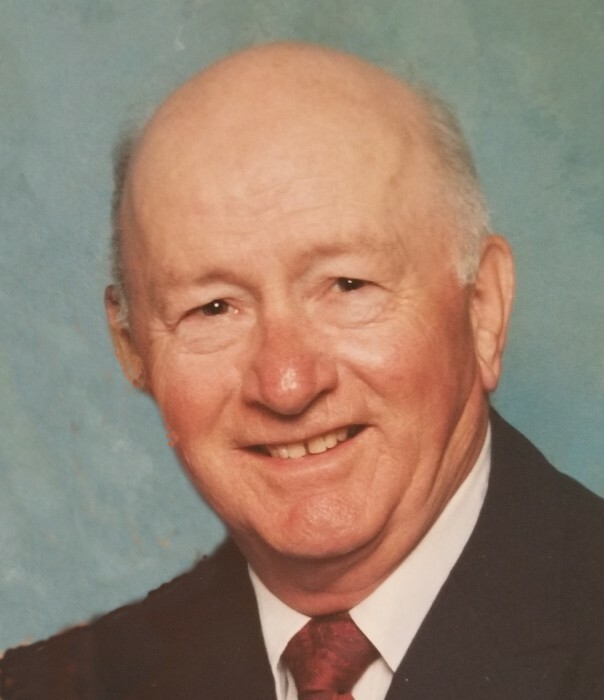 John P. Fraher, of Florida and South Dennis, formerly of West Roxbury, passed away on June 15, 2018. he was 95 years old. John was the dear and devoted husband of the late Margaret (Jenks). Loving father of Margaret LeGendre and her husband Paul of West Roxbury, Michael Fraher and his wife Karen of Brewster and the late John Fraher. Beloved grandfather of Kara Williams and her husband James, Michael Fraher and his wife Caeli, Ryan Fraher and his wife Ali, Lauren Horgan and her husband Michael, Andrew LeGendre and his wife Jessica, Colette LeGendre and Alexander LeGendre. Great-grandfather of Lucille Rose LeGendre. Dear brother of the late Margaret Boyle, Thomas Fraher, Leo Fraher, Theresa Sullivan, Mary Moriarty, Catherine Walker and Justin Fraher. He is also survived by several loving nieces and nephews. John's Funeral will be from the Kfoury Keefe Funeral Home 8 Spring St. (at the corner of Centre St.) WEST ROXBURY Tuesday at 10:30 a.m. Funeral Mass will be held at St. Theresa of Avila Church at 11:30 a.m. Relatives and friends are respectfully invited to attend. In lieu of flowers, contributions in John’s memory may be made to the Salvation Army. John was a proud and decorated US Army Veteran of WWII. He will be laid to rest with his beloved Margaret at Mt. Benedict Cemetery in West Roxbury.